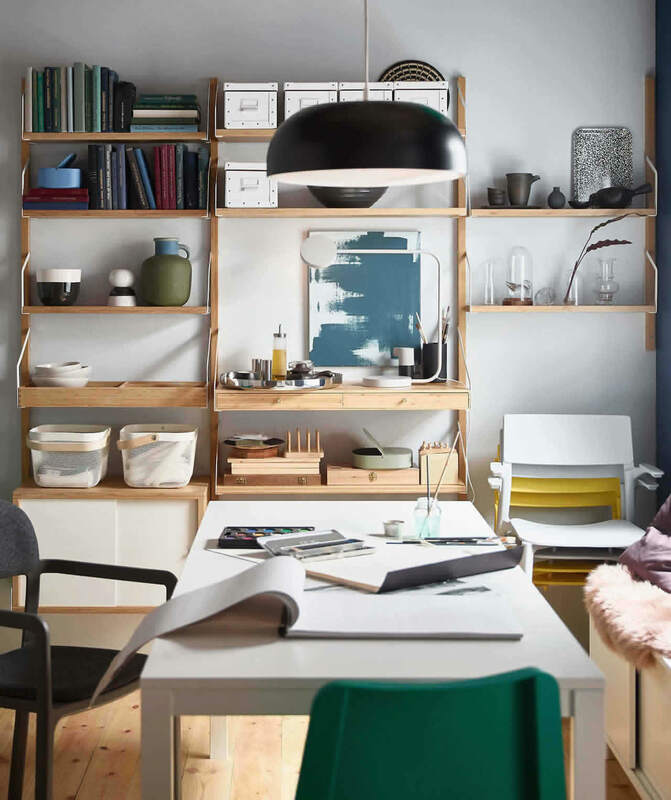 We created a small space dining area where you can eat, work and play all in one. Gather your friends and family to stay the whole day! 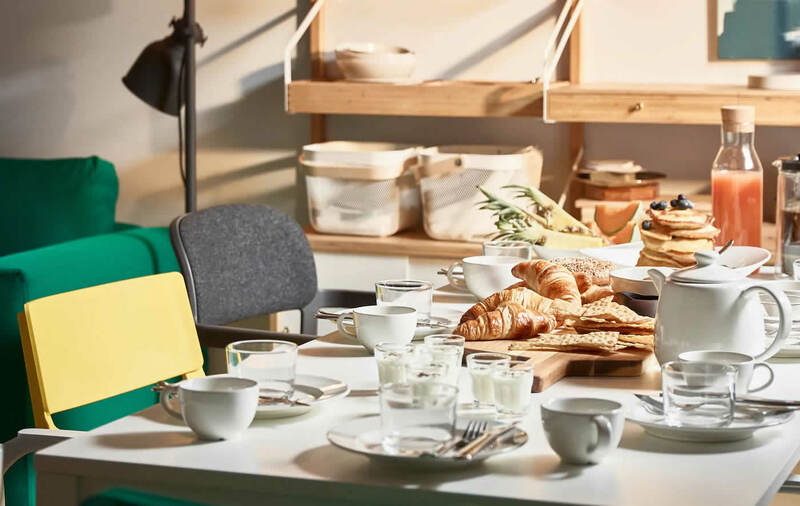 An extendable table creates space for company and an early bird brunch. Instead of foldable chairs, consider a stackable set of sturdier extra seats. Feel free to mix styles with armrests and padded backs that support different needs. We even used a bench to help seat eight guests. Keep essential items close to the table with a shelving unit. 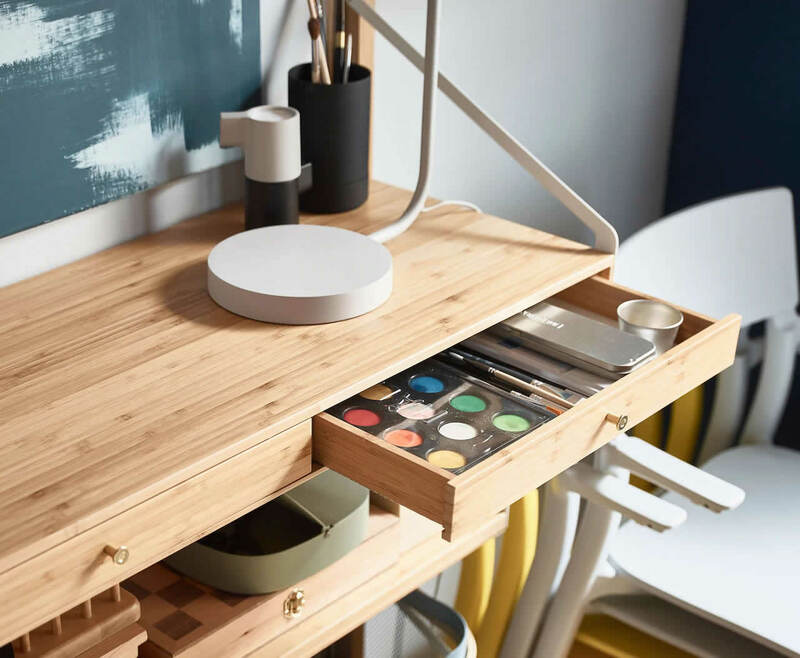 Place everyday cutlery on shelf inserts, or store supplies inside drawers — and pull them out when inspiration strikes. We chose a customizable series like SVALNAS to create a storage system that fit our needs. Dimmable lighting makes for cozy times around the table, especially when sharing a warm family dinner. A pendant lamp spreads an even amount of light across the table, while a paper lantern gives off a more subdued, soothing glow. Candles work just as well, too. We stored cushions, throws and chair pads in the bench to make game nights more comfortable. And brightening the lights means you’ll see your opponent’s moves without straining your eyes.